Obesity in men: Like many western nations, Australia is experiencing an obesity crisis that is associated with serious physical and mental health consequences and crippling health care costs. In particular, obesity in men is a major public health concern. Although 70% of Australian men are currently overweight or obese, evidence-based programs that appeal to men are lacking. To address this, I’ve led a program of work that has designed and evaluated ‘gender-tailored’ weight management programs. Targeted community and school-based obesity prevention interventions: My educational programs that promote physical activity and healthy eating are focused on engaging at-risk groups by designing programs that address the unique motivators and barriers they face at home (e.g. programs targeting different family members), in school (e.g. programs to improve the quality of school physical education) or in the community (e.g. programs targeting the workplace). Engaging fathers to enhance physical activity and nutrition in their children: There is a severe under-representation of fathers in paediatric research and community programs internationally. My work has sought to understand the influence of fathers on their children’s physical, social and emotional wellbeing. I have developed programs to improve the role modelling, parenting practices and health of fathers including Healthy Dads, Healthy Kids and DADEE (Dads And Daughters Exercising and Empowered). To make a difference in the world. I love seeing how the programs I have developed have positively impacted on the physical and mental health of individuals and families. While research has helped me to understand human behaviour, it has importantly, generated convincing and exciting evidence that has captured the attention of key stakeholders who can help get the programs out into the community. Some of the programs I have developed are now being implemented internationally and none of this would have been possible without the understanding and outcomes resulting from the research. Although our programs have had a major impact locally, my ultimate goal is for these programs to be rolled out nationally and internationally and to live on so people across the globe can benefit. Notably, the benefits we have found from our programs have extended beyond just improvements in physical activity levels and dietary behaviours. For example, our results from the DADEE program showed dads and daughters were more active but the girls also felt better about themselves, had stronger relationships with their fathers and were doing more activities together as a family. They also dramatically improved their ability to perform various sports skills. For fathers, meaningful improvements were seen in physical activity levels but also the quality of the father-daughter relationship and their parenting skills. Running this program has been one of the most rewarding, satisfying and enjoyable experiences of my life. Bringing dads into their daughters’ lives through physical activity and sport has been a fantastic outcome of the study, but it is even more powerful to have witnessed how the benefits of these new father-daughter connections have extended to other areas of their lives. 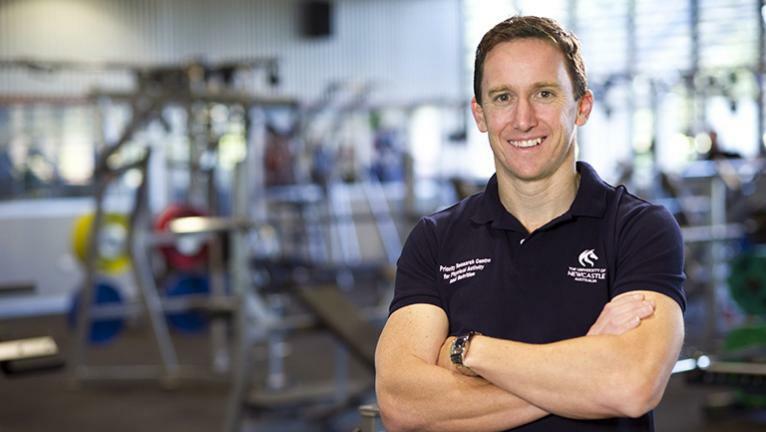 Professor Morgan is a Deputy Director of the University of Newcastle Priority Research Centre for Physical Activity and Nutrition and lecturer in the School of Education. He graduated with a Bachelor of Education (Health and Physical Education) in 1997 and always wanted to be a teacher; motivated to follow a career path that could help children develop the knowledge and skills to lead healthy lifestyles. Morgan then completed a PhD in 2003 which focused on improving primary school physical education. By that career stage, he had come to realise the powerful and profound impact you could have as a researcher. He began his academic career in 2003 and this enabled him to combine primary interests in both teaching and research. In general, Professor Morgan’s research program has focused on the impact of school- and community- based interventions to prevent or treat obesity in child, adolescent and adult populations. The major community-based health education programs he has led include programs for men and fathers such as Healthy Dads, Healthy Kids (HDHK), the SHED-IT Weight Loss Program for men, Workplace POWER (Preventing Obesity Without Eating like a Rabbit), and DADEE (Dads And Daughters Exercising and Empowered). In 2014, HDHK won the ‘Excellence in Obesity Prevention Award’ from the World Health Organisation’s Obesity Prevention Collaboration and the Business/Higher Education Round Table, ‘Best Community Engagement Award’ from the Australian Government. In 2015 in London, Morgan trained the U.K. Fatherhood Institute to deliver HDHK in partnership with the University of Birmingham (funded by a grant from the National Institute for Health Research). In 2013, the Workplace POWER program won the National Preventive Health Award for best workplace health program from the Australian National Preventive Health Agency. Diabetes WA has signed an exclusive licence agreement and is now rolling the program out across workplaces in Western Australia and NSW. Of great relevance, these programs were first funded by pilot grant schemes from HMRI. As a chief investigator, Professor Morgan has secured grants of over $4 million. He has published more than 175 papers in peer reviewed journals and delivered over 95 presentations including numerous keynote presentations at both academic and community events. To date, he has conducted more than 370 media interviews to promote his studies or communicate the implications of his research to the wider community. He has also been the facilitator for all of his own research programs in the community and workplace, and is now training facilitators to deliver his programs across Australia and internationally.